Jonah Lehrer, according to a spokesperson at The New Yorker, wrote six articles for the magazine, beginning in July 2008, in addition to writing for the magazine’s online content. Lehrer joined The New Yorker as a staff writer in June of 2012. His last article for the magazine was published in March 2012. Following the publication of the article in Tablet, it became clear that The New Yorker and Lehrer’s publisher, Houghton Mifflin Harcourt, had had enough. Print copies of Imagine have been scheduled to be recalled by the publisher, Houghton Mifflin Harcourt, in the wake of this latest literary scandal. Jonah Lehrer issued a statement through his publisher in which he offered a public apology. Michael C. Moynihan, a journalist for Tablet magazine, was the first to investigate the validity of the quotes attributed to Bob Dylan. According to Moynihan, Jonah Lehrer repeatedly lied about where he attained the quoted material during Moynihan’s investigation. 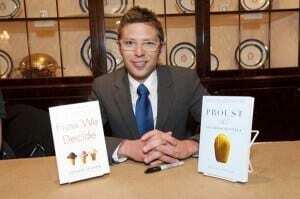 Through his literary agent, Andrew Wylie, Jonah Lehrer declined to be interviewed.